The third edition of this popular introductory text maintains the character that won worldwide respect for its predecessors but features a number of enhancements that broaden its scope, increase its utility, and bring the treatment thoroughly up to date. 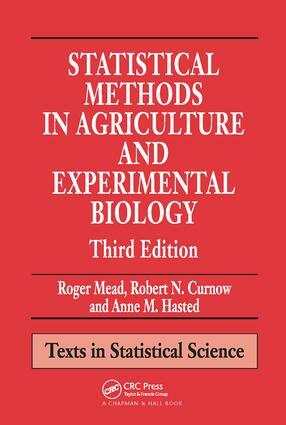 It provides complete coverage of the statistical ideas and methods essential to students in agriculture or experimental biology. In addition to covering fundamental methodology, this treatment also includes more advanced topics that the authors believe help develop an appreciation of the breadth of statistical methodology now available. The emphasis is not on mathematical detail, but on ensuring students understand why and when various methods should be used.